Canadian retailer, 'NCIX' recently started taking the pre-order of the all new HTC One X quad-core smartphone.The new HTC One X quad-core smartphone is offered as unlocked version with a price tag of $799.99.The shipping of the smartphone will commence in April. Now let's look into the Specifications and features of new HTC One X quad-core smartphone: HTC One X quad-core smartphone comes equipped with a 4.7-inch touchscreen HD display and powered with 1.5GHz Nvidia Tegra 3 quad-core processor along with a 1GB RAM, and 32GB Internal memory. HTC One X quad-core smartphone runs on Android 4.0 Ice Cream Sandwich OS with HTC Sense 4.0 UI.Other features coming with HTC One X quad-core smartphone includes 8MP rear-facing camera, Bluetooth 4.0, Wi-Fi 802.11 a/b/g/n, and Beats Audio technology. What you think is it worth for 800$..? For more details about HTC One X quad-core smartphone look under related Posts provided below. Tags:-HTC One X quad-core smartphone canada price, HTC One X quad-core smartphone launch in canada, HTC One X quad-core smartphone pre-order in canada, HTC One X quad-core smartphone canada unlocked price, HTC One X quad-core smartphone features, HTC One X quad-core smartphone specs, HTC One X quad-core smartphone details, HTC One X quad-core smartphone images, HTC One X quad-core smartphone canada availability. Sony recently announced the global launch of its all new smartphone, Sony Xperia S smartphone which was previously available only in UK.Now the Sony Xperia S smartphone will be soon made available in India and all other markets world wide. The new Sony Xperia S smartphone comes equipped with a 4.3-inch scratch-resistant TFT touchscreen display with 1280 x 720 pixel resolution and Mobile BRAVIA Engine.The smartphone is powered by a dual-core 1.5GHz processor along with 1GB RAM and 32GB Internal memory. Other exciting features includes 12.1 megapixel autofocus camera with LED flash and Sony Exmor R for mobile CMOS sensor, 1080p Full video recording, a front-facing 1.3MP camera, HSPA, Bluetooth v2.1 with A2DP, GPS, geo-tagging, NFC (quick tap), and WiFi 802.11 b/g/n. New Sony Xperia S smartphone runs on Android 2.3 Gingerbread OS. The battery provides about 8 hours 30 minutes of talk time, 420 hours of standby, 25 hours of music playback.Sony Xperia S weighs 144 grams and its dimensions are 128.0 x 64.0 x 10.6 mm. Tags:- Sony Xperia S smartphone India launch, Sony Xperia S smartphone global launch, Sony Xperia S smartphone asia launch, Sony Xperia S smartphone price in india, Sony Xperia S smartphone specs, Sony Xperia S smartphone details, Sony Xperia S smartphone features, Sony Xperia S smartphone images, Sony Xperia S smartphone complete specs, Sony Xperia S smartphone review. Sony recently made the official introduction of its all new smartphone, named Sony Xperia Neo L MT25i in China,The new Sony Xperia Neo L MT25i is the company's first smartphone to run on Android 4.0 Ice Cream Sandwich OS. The new Sony Xperia Neo L MT25i smartphone comes equipped with a 4-inch touchscreen display with FWVGA (854 x 480) resolution and is powered with a single-core 1GHz Qualcomm MSM8255 processor along with 512MB RAM and 1GB Internal memory. Other Features of Sony Xperia Neo L MT25i smartphone includes 5 megapixel camera on rear side with LED flash, 720p video recording, front-facing VGA camera, HSDPA and a microSD card slot with up to 32GB support.The smartphone packs a 1,500 mAh battery for power supply. Tags:- Sony Xperia Neo L MT25i smartphone featurs, Sony Xperia Neo L MT25i smartphone specs, Sony Xperia Neo L MT25i smartphone launch, Sony Xperia Neo L MT25i smartphone colors, Sony Xperia Neo L MT25i smartphone shades, Sony Xperia Neo L MT25i smartphone availability, sony smartphone with Android 4.0 Ice Cream Sandwich OS, Android 4.0 ICS OS smartphone from sony, first Android 4.0 ICS OS sony smartphone. UK retailer, 'Phones 4U' recently taking the pre-order of all new HTC One S smartphone in UK which will be available from April 6th, 2012.New HTC One S smartphone can be pre-ordered with amazing contracts from various vendors like Orange, O2, and Vodafone. Even plans like free HTC One S with £36 per month is also available. New HTC One S smartphone equips a 4.3-inch touchscreen AMOLED display with ambient light sensor and boasts a dual-core 1.5GHz processor along with 1GB RAM module and a 16GB internal memory.HTC One S smartphone also features Beats Audio technology that delivers crisp and clear sound quality. Other HTC One S smartphone Specifications includes 8MP rear-facing camera with HTC ImageSense technology, Wi-Fi 802.11b/g/n, Bluetooth 3.0, EDGE technology, MicroUSB 2.0 and also brings 25GB free Dropbox Cloud storage. HTC One S smartphone runs on Android 4.0 Ice Cream Sandwich OS and is available in shades (colors) of Black and white. HTC One S will be available in India from 15th of June 2012 for a price tag of around Rs 33,000 INR. Pre- order starts in online stores like Infibeam. Tags:-HTC One S smartphone price, HTC One S smartphone uk details, HTC One S smartphone uk price, HTC One S smartphone price in uk, HTC One S smartphone uk launch, HTC One S smartphone uk release, HTC One S smartphone uk availability, HTC One S smartphone shades, HTC One S smartphone specs, HTC One S smartphone features, HTC One S smartphone images. 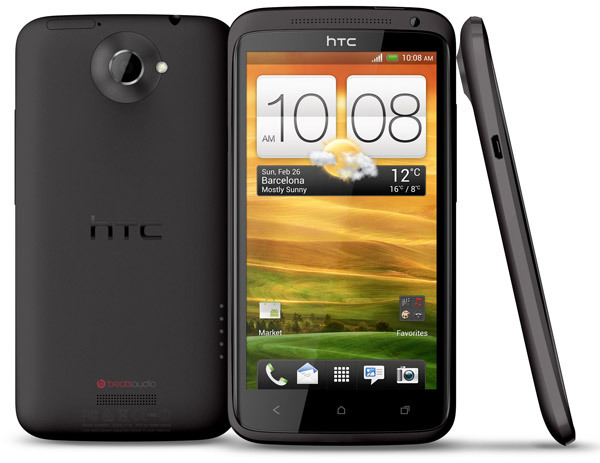 UK retailer O2 recently confirmed the launch of HTC One X in UK market.O2 also confirmed the launch date as April 5th and the price details are not revealed but its expected that HTC One X will be provided as free on various select plans. New HTC One X smartphone is the first smartphone that is powered with a quad-core CPU.Lets look into the Detailed specifications of new HTC One X smartphone. HTC One X smartphone packs a 4.7-inch HD touchscreen display and is powered with a 1.5GHz quad-core processor and has an internal memory of 32GB. All New HTC One X smartphone runs on Android 4.0 Ice Cream Sandwich OS along with HTC Sense 4 UI.Other features includes 8MP camera on rear end with capturing 1080p HD video, a front-facing camera, and Beats Audio. 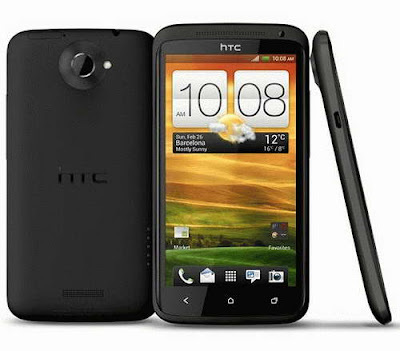 Tags:- HTC One X smartphone price, HTC One X smartphone features, HTC One X smartphone specifications, HTC One X smartphone details, HTC One X smartphone launch, HTC One X smartphone uk launch details, HTC One X smartphone uk price tag, price ofHTC One X smartphone, HTC One X smartphone images. iRU recently started the sale of its all new Windows 7 business tablet, named iRU Pad Master in Russian market.The new iRU tablet runs on Windows 7 Professional OS aiming at business users. New iRU Pad Master tablet comes packed with 10.1-inch touchscreen display with 1024 x 600 pixels resolution along with multitouch supports and is powered with a 1.66GHz Intel Atom processor.The iRU Pad Master also houses a 2GB RAM module and have 32GB internal memory with microSD card slot for further expandability. Other iRU Pad Master tablet features includes a 1.3MP web-camera, ambient light and orientation sensors, Wi-Fi, Mini HDMI port, USB 2.0 port and a 3.5mm headphone jack. iRU Pad Master tablet battery provides about 8 hours of life.The tablet weighs 800 grams and has dimensions 263 x 174 x 12 mm. iRu Pad Master Windows tablet now available in Russia for a price tag of 13,350 rubles. Tags:-iRU Pad Master Windows 7 business tablet price, iRu Pad Master Windows tablet features, iRu Pad Master Windows tablet availbility, windows tablet, business tablet, windows os based tablet, tablet with windows 7, iRu Pad Master Windows tablet specifications. 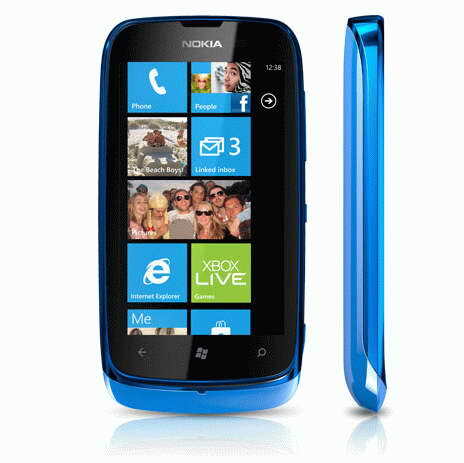 Nokia recently announced its cheapest Windows Phone smartphone, named Nokia Lumia 610. Nokia Lumia 610 is also the Cheapest Windows Phone handset to have Wi-Fi hotspot capabilities that means the smartphone allows to connect up to 5 Wi-Fi-enabled devices. The new Nokia Lumia 610 Smartphone will be available in Q2 2012 with an amazing low price tag of €189. Nokia Lumia 610 Smartphone comes equipped with a 3.7-inch capacitive touchscreen Gorilla Glass display with WVGA 800 x 480 resolutions and is boasted with 800MHz Qualcomm Snapdragon S1 7227A processor along with 526MB RAM and an internal memory of 8GB. New Nokia Lumia 610 runs on Windows Phone 7.5 Mango OS and Other features includes 5MP rear-facing autofocus camera with LED flash, HSDPA, 802.11b/g/n WiFi and Bluetooth 2.1. Nokia Lumia 610 Smartphone weighs 131.5 grams and its dimensions are 119.2 x 62.2 x 12 mm. 300mAh battery for power supply. Tags:- Nokia Lumia 610 Smartphone launch, Nokia Lumia 610 Smartphone release, low cost windows os phone, Nokia Lumia 610 Smartphone price, Nokia Lumia 610 Smartphone price details, price of Nokia Lumia 610 Smartphone, Nokia Lumia 610 Smartphone details, Nokia Lumia 610 Smartphone specs, Nokia Lumia 610 Smartphone features, windows phone price, nokia low cost windows phone, nokia wifi hotspot phone, low price windows handset from nokia, low priced windows os handset. 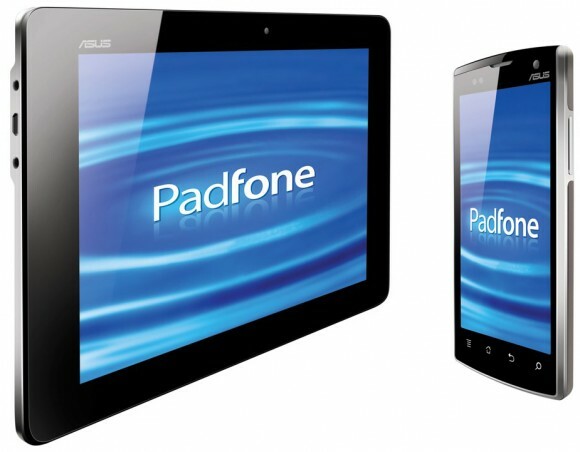 UK retailer 'FlagshipFones' recently started taking the pre-order of new tablet/smartphone hybrid, named ASUS Padfone tablet.The new ASUS Padfone can be pre-ordered for a price tag £699.98 (incl. VAT). Asus smartphone/tablet serves both the purpose of a smartphone as well as a Tablet.Lets take a look into the Specifications of Asus smartphone/tablet device: The new ASUS Padfone tablet/smartphone hybrid equips a 4.3-inch capacitive multi-touch Super AMOLED display with a resolution of 1280 x 800 pixels and is powered with a 1.5GHz dual-core processor. New ASUS Padfone runs on Android 4.0 Ice Cream Sandwich OS.Other features of ASUS Padfone includes 1.3MP front-facing camera, high quality speaker with ASUS SonicMaster technology, Micro-HDMI, Micro-USB, 3.5mm audio jack, GPS, and 40-pin docking connector. 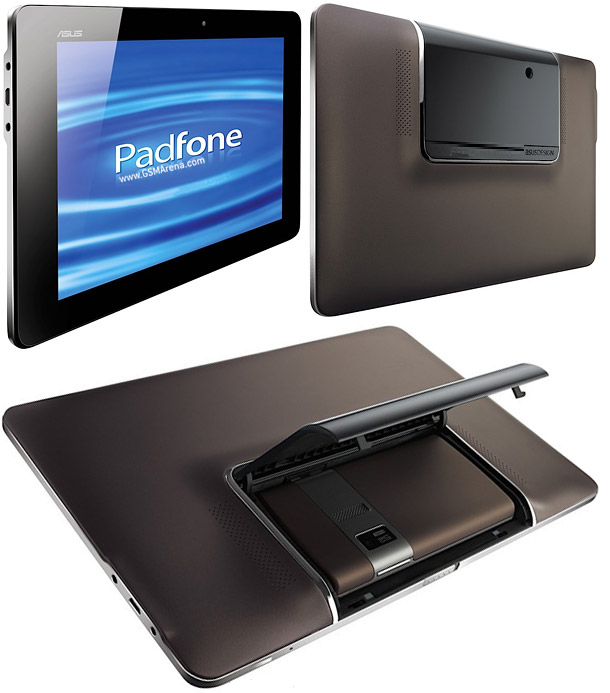 ASUS Padfone smartphone/tablet hybrid device weighs 716g and its dimensions are 273 x 176.9 x 13.5 mm.The tablet is powered with a 6600mAh battery. Tags:- ASUS Padfone tablet/smartphone price, price of ASUS Padfone tablet/smartphone, ASUS Padfone tablet/smartphone details, ASUS Padfone tablet/smartphone features, ASUS Padfone tablet/smartphone specs, ASUS Padfone tablet/smartphone launch, ASUS Padfone tablet/smartphone release, ASUS Padfone tablet/smartphone uk price, ASUS Padfone tablet/smartphone price in uk, ASUS Padfone tablet/smartphone uk availability, ASUS Padfone tablet/smartphone images. Sony on its way to introduced a new digital SLR camera, named Sony Alpha A57.The new Sony Alpha A57 DSLR camera is aimed at high performance seeking professional customers. Lets take a look into the Features and Specs of Sony Alpha A57:The Alpha A57 packs a 16-megapixel APS-C (23.5 x 15.6 mm) HD CMOS sensor along with a BIONZ high-performance image processor that brings a lot more photographic features and image processing modes selections. Sony Alpha A57 includes an angle-adjustable 7.5 cm (3.0-type) Xtra Fine LCD display along with high-resolution Tru-Finder electronic viewfinder that is capable for 100 percent field of view with a wide viewing angle. Sony Alpha A57 DSLR also features Translucent Mirror Technology and is able to shoot images up to 12fps in continuous mode. 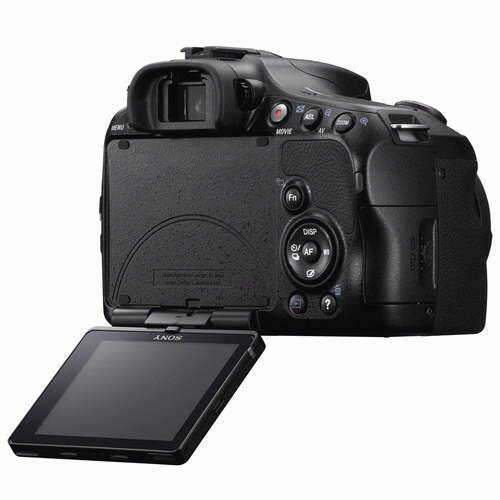 New Alpha A57 DSLR camera also provides video recording of 1920 x 1080 video at 60p, 60i and 24p/25p.The camera shoot options includes 3D Sweep Panorama, Sweep Panorama, and Superior Auto. All new Sony Alpha A57 dSLR camera has a sensitivity range of ISO 100-16000 (expandable to 25,600) and a shutter speed of 1/4000-30s.Other features of A57 DSLR includes stereo microphone, USB 2.0 port and a HDMI connector.The storage option in the camera is SD/SDHC/SDXC/Memory Stick Pro Duo/Pro-HG Duo.Sony A57 weighs 618 grams (with battery) and its dimensions are 132 x 98 x 81 mm. 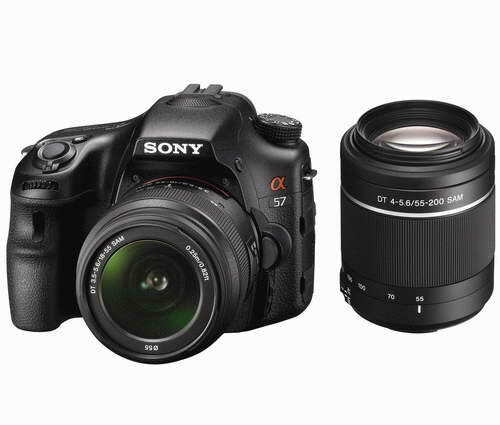 Sony Alpha A57 camera with 18-55mm Kit (SLT-A57K) will be having a price of $800 and the body only option ie (SLT-A57) costs $700.According to Sony the Alpha A57 camera will be available from April 2012. 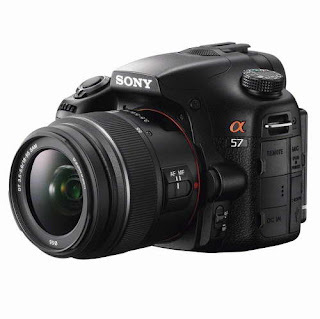 Tags:- Sony Alpha A57 DSLR camera price, Sony Alpha A57 DSLR camera features, Sony Alpha A57 DSLR camera specs, Sony Alpha A57 DSLR camera launch, Sony Alpha A57 DSLR camera release, price of Sony Alpha A57 DSLR camera, Sony Alpha A57 DSLR camera details, Sony Alpha A57 DSLR camera images, Sony Alpha A57 DSLR camera pics, Sony Alpha A57 DSLR camera photo gallery. 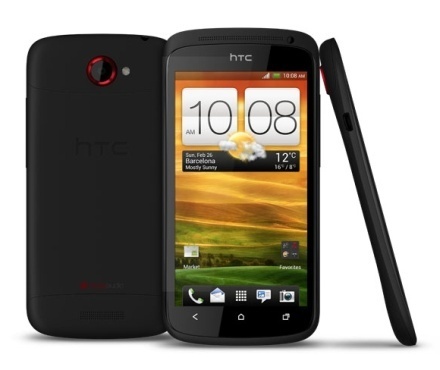 UK Online retailer, ASDA recently listed the HTC Evo 3D smartphone with a low cost of just £207(SIM-free and unlocked) which is cheaper than the previous price of £229. HTC Evo 3D smartphone packs a 4.3-inch 3D capacitive touchscreen display with 540 x 960 pixel resolutions and is powered with a 1.2GHz dual-core processor along with a 1GB RAM and Internal memory of 1GB. Other Features of HTC Evo 3D smartphone includes dual-5MP cameras that enable to capturing 3D pictures and videos, front-facing 1.3MP camera, 3G, WiFi, GPS, Bluetooth and a microSD card slot.The HTC Evo 3D smartphone runs on Android 2.3 Gingerbread OS and a 1730mAh battery. 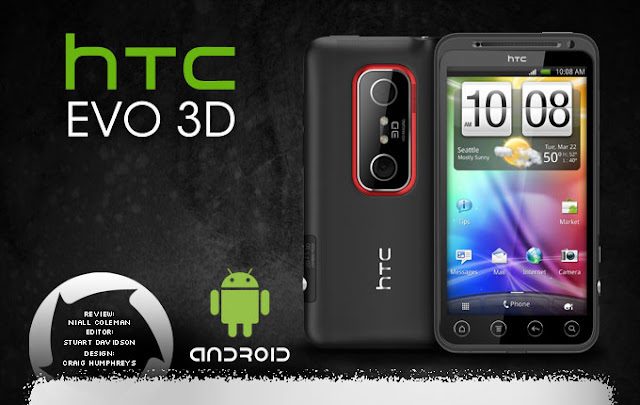 Tags:-HTC Evo 3D smartphone price, HTC Evo 3D smartphone features, HTC Evo 3D smartphone uk price tag, HTC Evo 3D smartphone uk cost, HTC Evo 3D smartphone availability, HTC Evo 3D smartphone uk availability, HTC Evo 3D smartphone unlocked price, HTC Evo 3D smartphone sim free price, HTC Evo 3D smartphone uk unlocked details, HTC Evo 3D smartphone images. 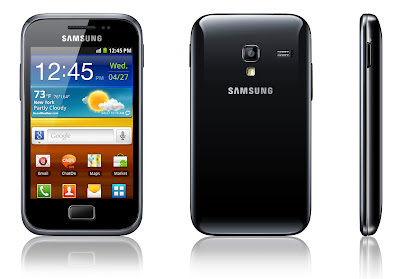 Online Indian Retailer Flipkart recently started taking the pre-order of its all new Galaxy smartphone, named Samsung Galaxy Ace Plus S7500.The new Samsung Galaxy Ace Plus S7500 SIM-free version UK pre-order is already started. 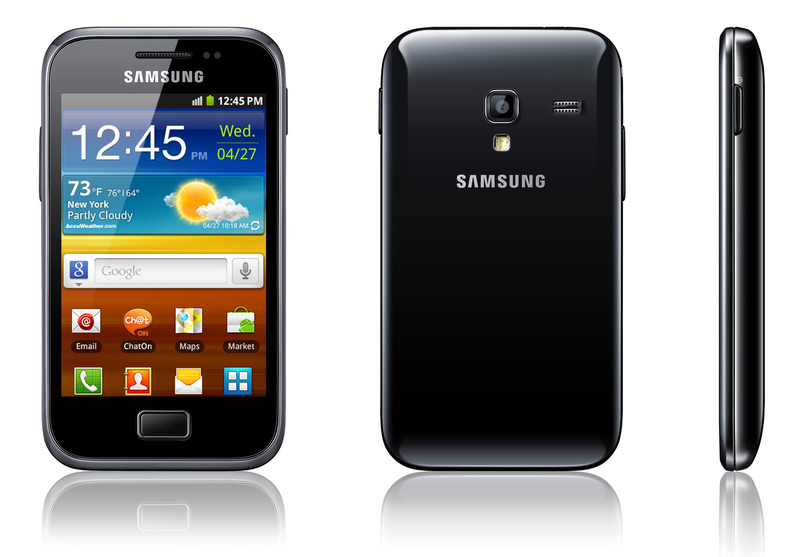 For Indian customers Flipkart pre-order price tag was around Rs.16,275 (about US$327 or 249 EUR).The shipping of Galaxy Ace Plus will starts on March 21. Lets take a look into the Specifications of new Samsung Galaxy Ace Plus S7500.The new Galaxy Ace S7500 smartphone equips a 3.65-inch HVGA capacitive touchscreen TFT display and is boosted with a 1GHz Scorpion processor along with 512MB of RAM and 3GB Internal memory. Other Features that comes with new Samsung Galaxy Ace Plus S7500 Includes 5MP camera, FM radio, Wi-Fi, HSDPA, Bluetooth 3.0, GPS and a microSD card slot that support up to 32GB.Galaxy Ace Plus S7500 runs on Android 2.3 Gingerbread OS and houses a 1,300 mAh battery. 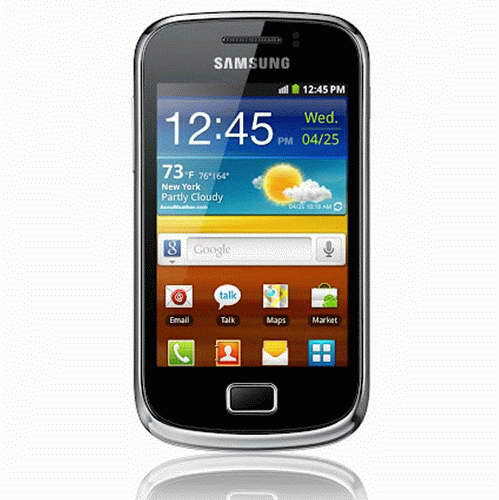 Tags:-Samsung Galaxy Ace Plus S7500 smartphone price, Samsung Galaxy Ace Plus S7500 smartphone features, Samsung Galaxy Ace Plus S7500 smartphone india price tag, Samsung Galaxy Ace Plus S7500 smartphone india cost, Samsung Galaxy Ace Plus S7500 smartphone availability, Samsung Galaxy Ace Plus S7500 smartphone india availability, Samsung Galaxy Ace Plus S7500 smartphone review, Samsung Galaxy Ace Plus S7500 smartphone price in india, Samsung Galaxy Ace Plus S7500 smartphone india details, Samsung Galaxy Ace Plus S7500 smartphone images. UK online retailer, MobileFun recently started taking the pre-order of new Samsung Galaxy Mini 2 smartphone.The budget-friendly Galaxy Mini 2 smartphone is now available for pre-order as unlocked for a cost of £179.95. The new Samsung Galaxy Mini 2 smartphone comes equipped with a 3.27-inch touchscreen display with a resolution of 480 x 360 pixels and is boosted with an 800MHz processor along with a 512 MB RAM and 4GB Internal memory. Other Specifications of Samsung Galaxy Mini 2 smartphone includes 5 megapixel autofocus camera with LED flash, 7.2 Mbps HSDPA, GPS, Wi-Fi, Bluetooth 3.0 and a microSD card slot that support up to 32GB.As unlocked the Galaxy Mini 2 is compatible with any 2G/GSM or 3G SIM card. 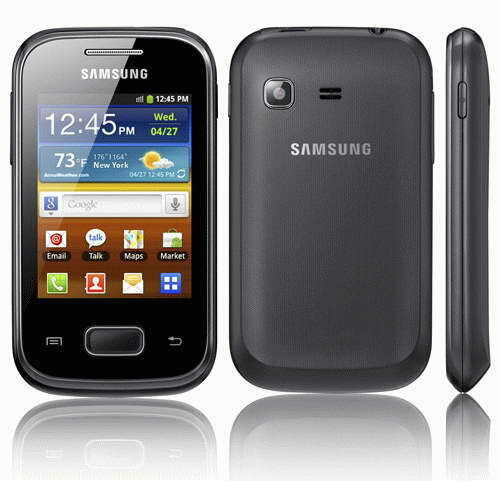 New Samsung Galaxy Mini 2 smartphone runs on Android 2.3 Gingerbread OS.The smartphone has a weight of 105.3grams and its dimensions are 109.4 x 58.6 x 11.6mm. Tags:-Samsung Galaxy Mini 2 smartphone price, Samsung Galaxy Mini 2 smartphone features, Samsung Galaxy Mini 2 smartphone uk price tag, Samsung Galaxy Mini 2 smartphone uk cost, Samsung Galaxy Mini 2 smartphone availability, Samsung Galaxy Mini 2 smartphone uk availability, Samsung Galaxy Mini 2 smartphone unlocked price, Samsung Galaxy Mini 2 smartphone sim free price, Samsung Galaxy Mini 2 smartphone uk unlocked details, Samsung Galaxy Mini 2 smartphone images. UK retailer 'Three' recently started the sale of all new Nokia Asha 302 phone.The new Nokia Asha 302 phone was introduced at the recently held Mobile World Congress 2012 in Barcelona, Spain. In UK the Nokia Asha 302 phone comes with two plan options:pay as you go (PAYG) and Pay Monthly plans.In pay as you go you will get the Nokia Asha 302 phone with just £89.99.In pay monthly plan the Nokia Asha 302 comes free with a monthly cost £15 (5,000 texts, 300 minutes, and 250MB of data). Lets take a look into the Specification of new Nokia Asha 302.The Asha 302 phone comes equipped with a 2.4-inch display with 240 x 320 resolutions and is powered with a 1GHz processor along with 128MB of RAM and 256MB of ROM. 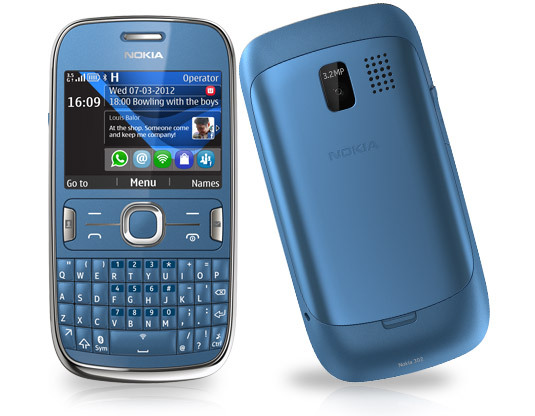 Other Features of Nokia Asha 302 phone includes 3.15MP rear-facing camera with video recording, full QWERTY keyboard, 14.4Mbps HSDPA, 5.76Mbps HSUPA, Bluetooth, Wi-Fi and a microSD card slot. Tags:-Nokia Asha 302 phone uk price, Nokia Asha 302 phone features, Nokia Asha 302 phone specs, Nokia Asha 302 phone details, Nokia Asha 302 phone release, Nokia Asha 302 phone uk launch, Nokia Asha 302 phone uk availability. Samsung recently made the official introduction of its all new entry-level Android smartphone, named Samsung Galaxy Pocket.The new Samsung Galaxy Pocket comes with same slim design as that of Samsung Champ which bags the name Samsung’s smallest touchscreen handset. As per the information the new Galaxy Pocket Smartphone will be soon available in Netherlands with an affordable price tag of 139 euros.Galaxy Pocket Smartphone will be available in Europe by this month end and followed by markets of CIS, Latin America, Southeast and Southwest Asia, the Middle East, Africa, and China. Samsung Galaxy Pocket Smartphone equips a 2.8-inch touchscreen LCD display with QVGA (240 x 320) resolution and is powered with a 832MHz processor along with 3GB internal memory and microSD card slot that could support up to 32GB card. Other Features that comes with Samsung Galaxy Pocket includes 2MP fixed focus camera at rear end, accelerometer, digital compass, 3.5mm ear jack, stereo FM radio with RDS, Samsung Apps, Samsung Kies, and Social Hub. A-GPS, Bluetooth 3.0, USB 2.0, and Wi-Fi 802.11b/g/n constitute the connectivity options. All new Samsung Galaxy Pocket Smartphone runs on Android 2.3 Gingerbread OS along with Samsung TouchWiz UX.The handset is designed to work in HSDPA 3.6UMTS 900/2100 MHz and EDGE/GPRS 850/900/1800/1900 MHz networks. Samsung Galaxy Pocket Smartphone also houses a Li-ion 1,200 mAh battery as power source.The smartphone weighs 97g and its dimensions are 103.7 x 57.5 x 12 mm. Tags:-Samsung Galaxy Pocket smartphone launch, Samsung Galaxy Pocket smartphone price, Samsung Galaxy Pocket smartphone release, price of Samsung Galaxy Pocket smartphone, Samsung Galaxy Pocket smartphone features, Samsung Galaxy Pocket smartphone specs, details, Samsung Galaxy Pocket smartphone images, Samsung Galaxy Pocket smartphone camera details, thinnest samsung smartphone. UK retailer 'Three UK' recently announced the launch of all new Sony Xperia S smartphone in UK market.The new Sony Xperia S smartphone comes with a price tag of £369.99 (about €442) or else will be available for free with monthly plans (at least £30 per month). 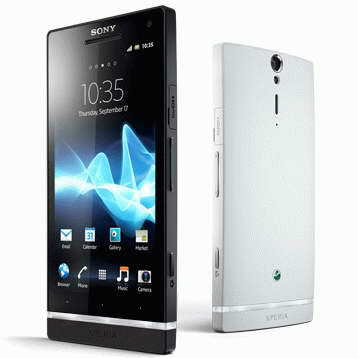 The new Sony Xperia S smartphone comes equipped with a 4.3-inch touchscreen HD Reality Display with Mobile Bravia Engine and is powered with a dual-core 1.5GHz processor along with 1GB RAM and internal memory of 32GB. Other Features of this stylish Sony Xperia S smartphone includes 12MP camera with Exmor R sensor at rear end, 1.3MP front-facing camera, 1080p video recording, 3D sweep panorama, Wi-Fi, HSPA, GPS, and NFC capabilities.The smartphone runs on Android Gingerbread OS. 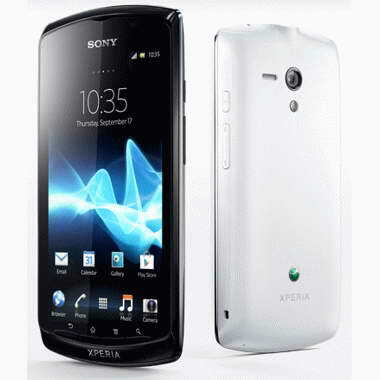 Tags:-Sony Xperia S smartphone uk , price of Sony Xperia S smartphone, Sony Xperia S smartphone uk pricetag, Sony Xperia S smartphone uk launch, Sony Xperia S smartphone UK availability, release of Sony Xperia S smartphone in uk. Acer on its way to release a budget friendly but good performance tablet named, Acer Iconia Tab 8200 soon in market.The new Acer Iconia Tab 8200 Tablet comes with a dual core processor with a low cost of about $300-320. The new Acer Iconia Tab 8200 tablet comes equipped with a 10-inch touchscreen display and is powered with 1.5GHz dual-core processor along with 1GB RAM and a 32GB Internal memory. Other Features of Acer Iconia Tab includes Wi-Fi, front camera and a MicroSD card slot, but will lacks rear-facing camera and HDMI port.The low cost Acer Iconia Tab 8200 Tablet will runs on the recent Android os which is the Android 4.0 Ice Cream Sandwich operating system. The all new Acer Iconia Tab 8200 Low cost tablet will be available in markets by the Q2 of this year..So what you think...is it budget friendly..? Tags:-low cost tablet, Acer budget friendly tablet, tablet priced below 15k, Acer low priced tablet, low priced tablet from acer, Acer Iconia Tab 8200. 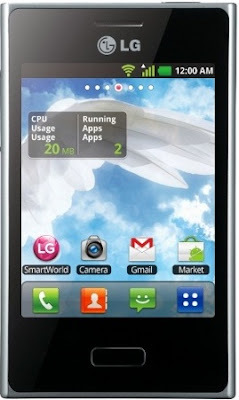 LG Optimus L3 features 3.2-inch TFT capacitive QVGA display with 240 x 320 pixel resolution. 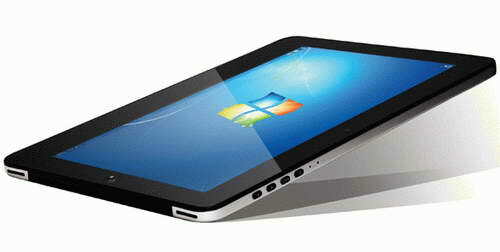 It is powered by a dual-core 800 MHz MSM7225A Cortex A5 processor with 1 GB RAM and runs on Android 2.3 Gingerbread OS. It can have storage up-to 32GB using microSD slots. The Optimus L3 sports 3MP fixed focus rear camera. Connectivity and expansion options includes Bluetooth 3.0 and 802.11 b/g/n Wi-Fi adapter, A-GPS/GPS, USB 2.0 port, microSD slot. General options includes media player, FM radio, comes with a standard 1500mAh battery which is rated to deliver 15 hours of back up on 2G and 8 hours on 3G. L3 measures 102,6 x 61,6 x 11,85 mm. Color options include White, Black, Hot Pink or Blue. The LG Optimus L3 will be available in Europe first with a price tag around $212. 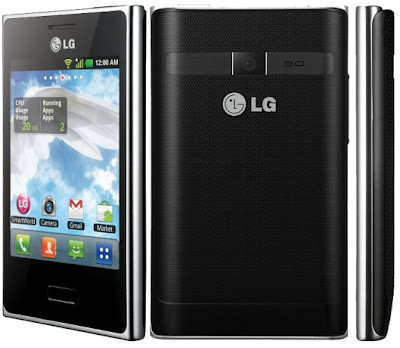 In India it is called as LG Optimus L3 E400 priced at Rs. 7,949 and is now available for pre-order in India via online shopping site Flipkart. Tags:LG Optimus L3 E400, LG Optimus L3, LG Optimus L3 features, LG Optimus L3 specifications, LG Optimus L3 review, LG Optimus L3 details, LG Optimus L3 availability, LG Optimus L3 specs, LG Optimus L3 images, LG Optimus L3 pics, LG Optimus L3 pictures, LG Optimus L3 imgs, LG Optimus L3 price,LG Optimus L3 Network options, LG Optimus L3 Expansion options, LG Optimus L3 multimedia features, LG Optimus L3 Sensor options, smartphones, Android 2.3 Gingerbread OS smartphone. 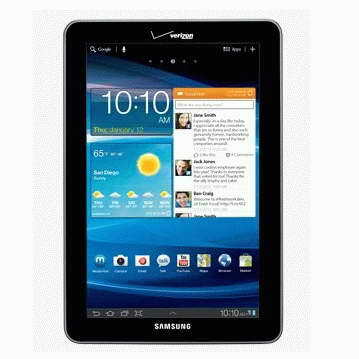 Samsung joined with Verizon Wireless started the sale of their all new 7-inch tablet named Samsung Galaxy Tab 7.7 tablet in US market.The new Samsung Galaxy Tab 7.7 now available for a price tag of $499.99 with a new 2-year contract with Verizon’s 4G LTE network connection. The contract free version costs $699.99. Take a look into the Specifications and Features. The new Samsung Galaxy Tab 7.7 tablet is the lightest and thinnest tablet by Samsung.The 7.7 Samsung Tab packs a 7.7-inch touchscreen Super AMOLED Plus display with 1280 x 800 pixel resolution and is powered with 1.4GHz dual-core processor along with 1GB of RAM and an internal storage memory of 16GB. Other Features includes 3.2MP rear-facing autofocus camera with flash, 2 megapixel front camera for video chatting and runs on Android 3.2 Honeycomb OS with Samsung’s TouchWiz UI. The Samsung Galaxy Tab 7.7 tablet's 5100mAh battery provides a very good power supply of about 12.5 hours which is a very good performance of the tablet. 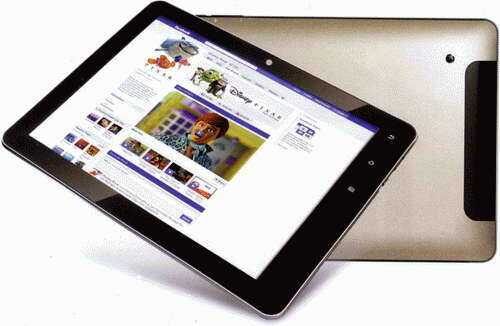 So what you think of Samsung Galaxy Tab 7.7 tablet. Is it worth for the price ? Do share your views..